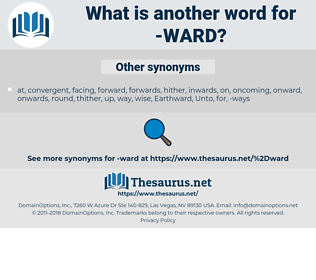 What is another word for ward? watch over or shield from danger or harm; protect; " guard my possessions while I'm away"
warnings, parliamentarians, barracks, members, Serbs, Les. expel, assault, betray, reject, expose, surrender, aggression, offensive, cast out, refuse, offense, attack, give up. You see, Mrs. Cunningham and my uncle's ward could not very well remain in a bachelor's home, and naturally, after what has happened, they would not like to do so, even if they could. But, Dr. Sandford, I wish I knew who of all these people in the ward need me most. 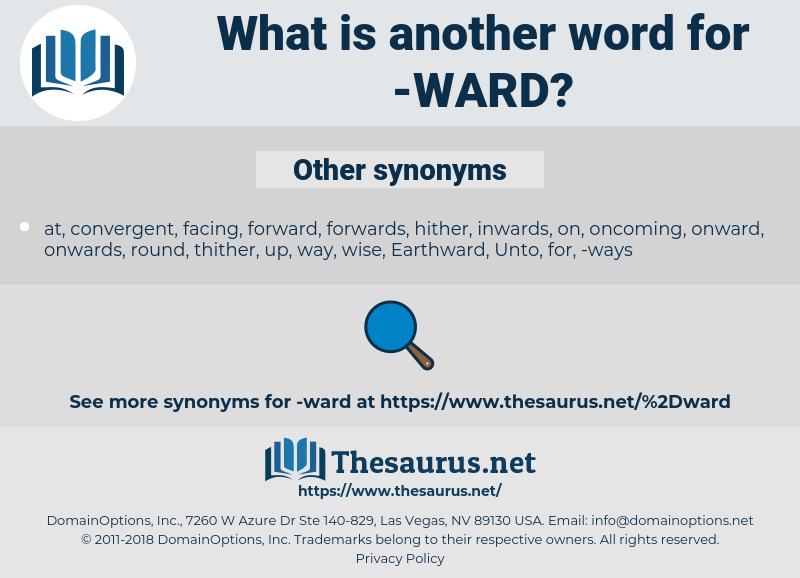 wire-haired, worth, wayward, wired, wordy, wreathe, wear out, worried, weirdy, word, war widow, warty, weird, weirdie, wyrd, waratah, wartweed, wart, wort, write out, write, wroth, wrath, Warde, wreathed, weirdo, wearied, writhe, writhed, worrywart, wraith, writ, warhead, worthy, wreath. administrative district, territorial division, administrative division. person, soul, someone, mortal, individual, somebody.